Keen motorists can’t wait to get a glimpse at the sheer power of the new VW Golf GTI. Perhaps the reason for this anticipation is the rumour mills that started back in 2016 when there was discussion of a 325BHP engine to put some hairs on our chest. It wasn’t an unreasonable claim, by any standards. After all, what does GTI stand for on a Golf? Grand Touring Injection, of course, which means we can have reasonable expectations for the latest hot hatch. If you’d like a brand-new GTI, we have plenty of Volkswagen Golf lease deals to choose from in the UK! Just get in touch and we’ll find a perfect deal to suit you! Sorry to disappoint you, but as yet, the latest Golf GTI can’t promise a BHP over 300. It’s not far off, however, with a generous 286BHP on the racing version, the TCR. For comparison’s sake, that’s a whole 44 points higher than the Golf GTI Performance! How fast is the Golf GTI? Beyond the new Golf GTI BHP, we have a 0-62mph time of an eye-watering 5.6 seconds, with a top speed of 155MPH. Remove the vMax restriction, and this will climb even higher to 162. 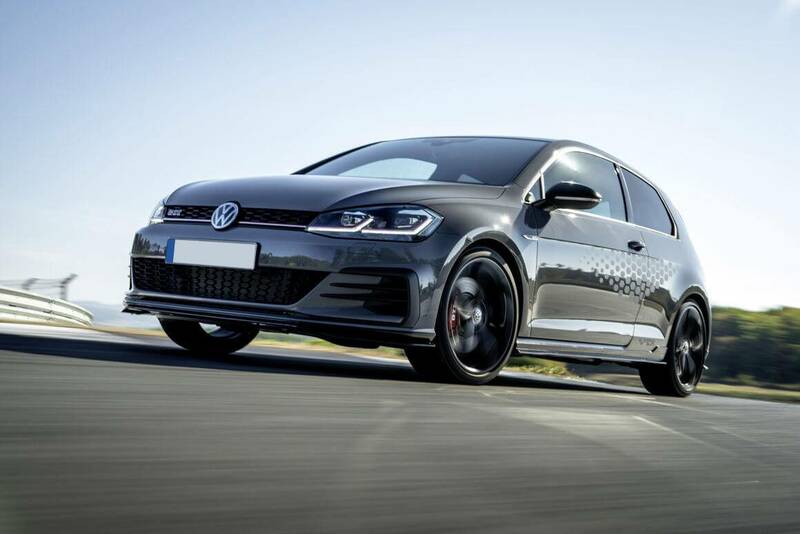 While the latest Volkswagen Golf GTI is an improvement on the Performance VW in terms of the Golf GTI 0-60 rating and top speed (1MPH more with the restriction, but 8 without), this GTI hatchback does draw comparisons with other Golfs too. If all-wheel drive is your preference, then the Golf R may be the sporty hatch of choice for you. 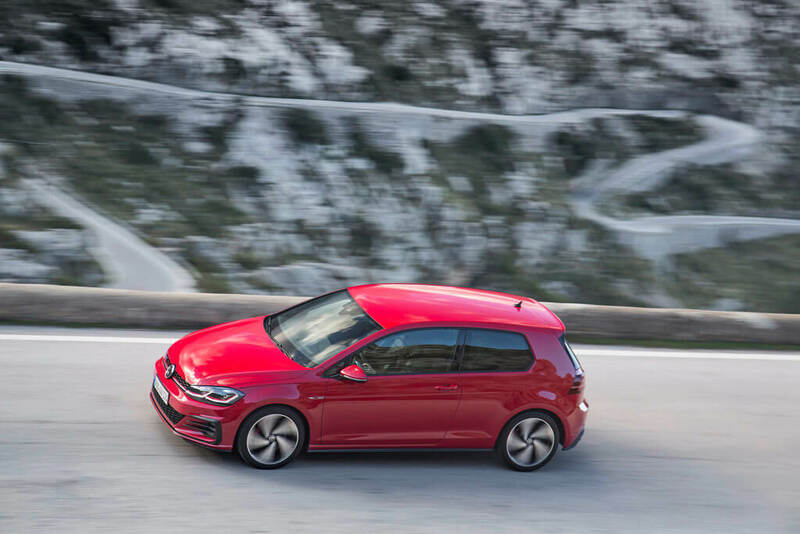 The new GTI is available as a seven-speed automatic, front-wheel drive hot hatch, whereas the Golf R offers incredible power on all four wheels. There are minor design differences, too – the Golf R is heavier yet more powerful, and the exterior trims are laid out slightly differently. However, though the interior technology may be more sophisticated, there’s not a great deal more to justify the difference in price: around £11,000. The GTI doesn’t come without its rivals, either, and the Ford Focus and BMW 1 Series make worthy adversaries. 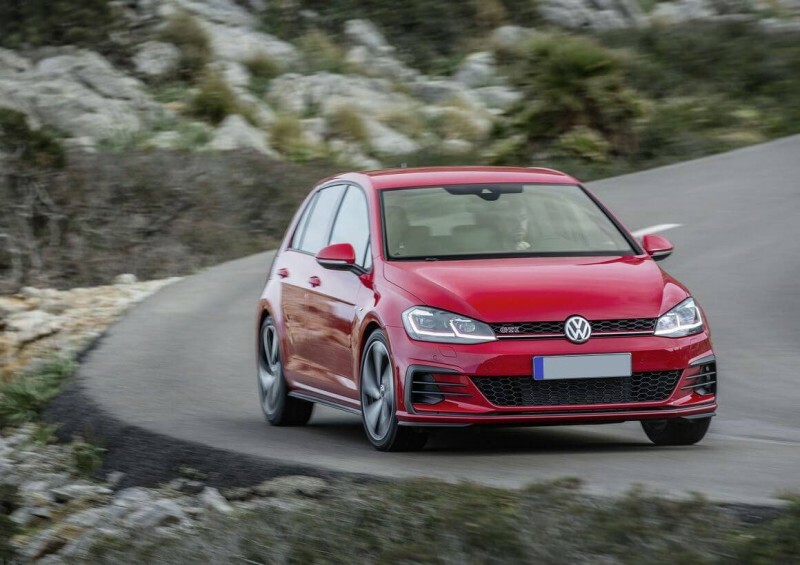 However, when it comes down to pure specs and practicality, the Golf still comes out on top: the Focus has a lower BHP, while the 1 Series is not as roomy if you are using it for anything other than racing. Is the Golf GTI a good car? 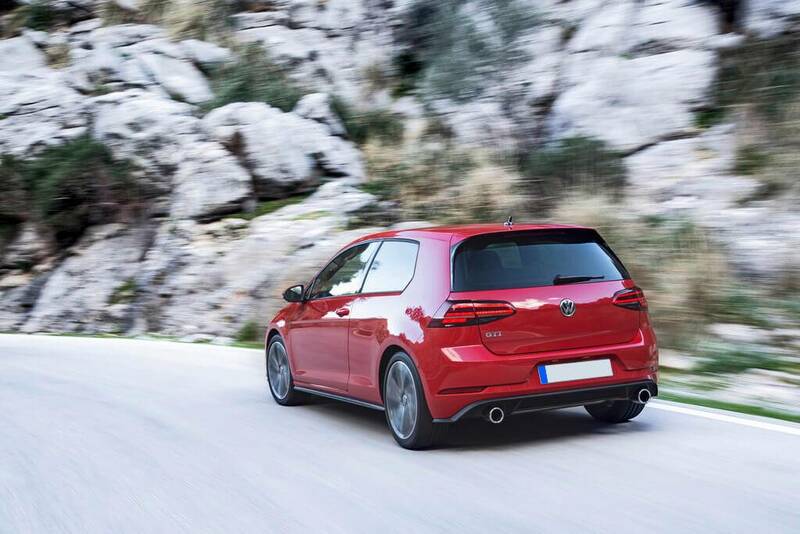 Despite taunts from other hot hatch manufacturers, the new Golf undoubtedly triumphs as a sporty, yet practical, hatchback. One feature that will divide opinion is the GTI’s gearbox. It is available in automatic transmission only, which is ideal for cruisers who want to use it for commuting and other practical means, but perhaps not so for the boy and girl racers among us! Adding to the new GTI’s credentials is its interior technology, which offers optional honeycomb graphics. Everything about the interior of the car says ‘sport’, too, from the red and black trim to the steering wheel features. Driver comfort is just another mark of Volkswagen’s outstanding commitment to practicality. The seats and steering wheel have plenty of scope for adjustments, and the technology is on point. Specifically, you can monitor the traffic in front of you better with the front assist feature, while there is also a high degree of sophistication on the infotainment front. Add in LED headlights and the GTI is every bit the imposing, sporty hatch. How much does it cost to lease a VW Golf? To buy outright, you’ll find the VW Golf GTI starting out at around £27,000. However, leasing the new Golf GTI on contract hire (personal or business) will make it more affordable for you at under £300 per month (depending on spec choice), or you could go for the slightly lower spec Golf GTI Performance lease, which should work out cheaper. We also have short-term lease deals available on the Volkswagen Golf for those who like to change their vehicle regularly or perhaps want to drive the model for a few months only. 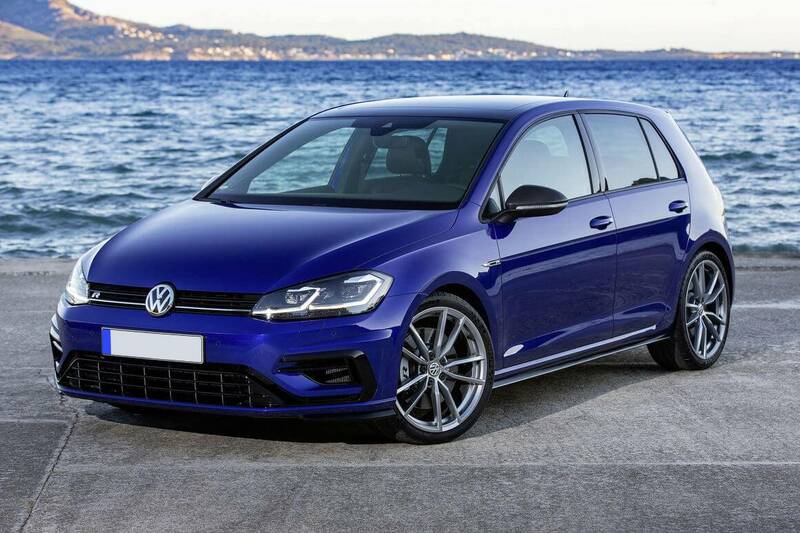 For more information on our 2019 Golf lease deals, don’t hesitate to get in touch with us today! Whatever your needs or budget, we’re sure to find something that fits. With so many rivals to face, including appealing engines from other hot hatches in the Volkswagen range, the new GTI has a lot to live up to. However, it’s ticked the box where it needed to most –its power – so the rest, as they say, is history. VW have nothing to prove when it comes to producing a practical car. They have a long-standing history of comfortable, roomy cars, which can be extended even further in the estate versions of their best models. A few cosmetic updates make this latest GTI a very attractive car, both for racers and for those simply wanting something executive and comforting. We’ll forgive the rumours of 325BHP back in 2016 – after all, it was quite a year for broken promises!